✅ glittery sparkly Shopkins - Bridie is walking down the aisle and celebration with a party of Shopkins who have glitter finishes! 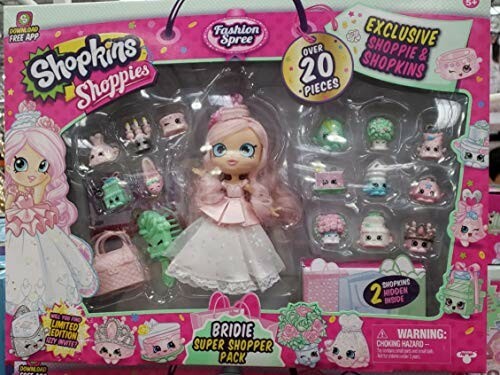 ✅ over 20 pieces wedding-themed Shopkins - 2 Pieces hidden for the ultimate surprise ✅ 30-Day hassle-free return - SHIPS directly from Amazon Warehouse, return within 30 days If you are not totally satisfied! Adult Supervision should be encouraged for young children. Do not eat. Remove all packaging attachments before giving this product to a child. Hair filaments may become detached from the toy. This product is listed on amazon using an ASIN of #B07GZ489SS	. Product prices and availability are accurate as of April 19, 2019 and are subject to change. Any price and availability information displayed on Amazon at the time of purchase will apply to the purchase of this product. Certain content that appears above comes from Amazon Services LLC. This Content is provided 'AS IS' and is subject to change or removal at any time. Halloween Bundle! Ty Beanie Boos Creeper Spider PLUS 2 Shopkins Glow in the Dark Pumpkins! 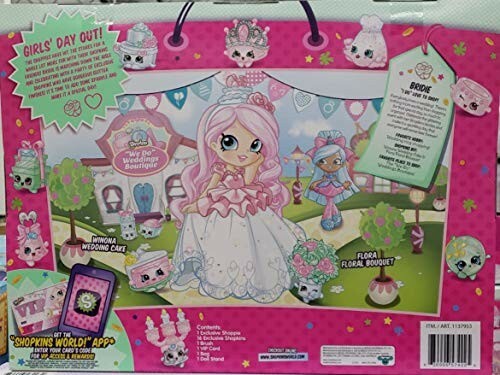 Shopkins Hot Spot Kitchen + Chef Club Donatina Shoppie!